« Back to: www.lampang.go.th (version:Thai) .. Copyright © 2014 - 2019 All Rights Reserved.. 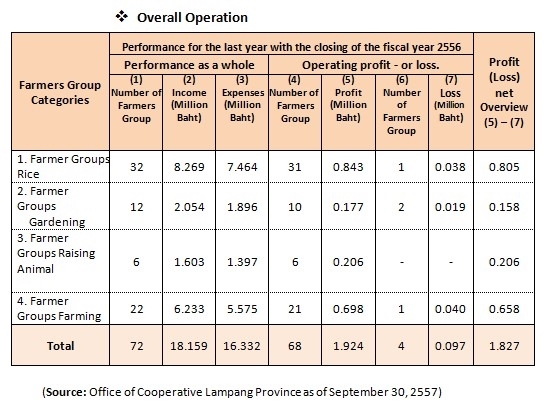 The data of economic developing affairs and national social welfare for the year of 2004, declares that Lampang province has an annual G.P.P. 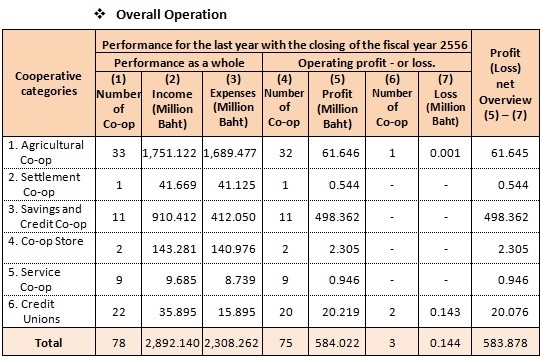 of 38,469.30 million baht. 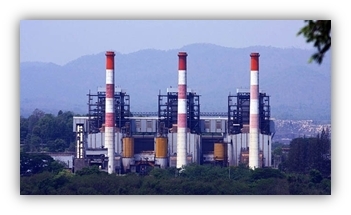 The average income of the population is 48,726 baht per annum. It stands as the third place after Lampoon and Chiang Mai in the Northern Thailand and is the thirty third place in the country. However, at the present, the majority of populations or about 70% in the rural are poor. The data in the year of 2004 showed the average annual income of the population is 12,938 baht per head per annum. In the year 2004, Lampang Province had 512 educational institutions with 6,951 teachers. There are 460 administrators and teachers and 123,181 students. The ratio of teachers to students is 1.18. The ratio of teacher to student compared to the ADB standard (as agreed by parliament on January 27, 2004) to quote a 1:25 students in each level. In reality, the kindergarten to lower secondary schools the ratio is better, whereas in high schools the ratio is exceeded. In September 30, 2004, Lampang province had 17 district hospitals; 1,581 beds providing modern medical services. There were 14 Ministry of Public Health hospitals with 1,400 beds; and 1 Military Hospital; 150 beds. There are also 2 private hospitals with 147 beds; average 1 bed per 511 heads of population. There were 102 doctors, 31 dentists, and 57 pharmacists. The ratio of doctors to population is 1:6081. The ratio between vocational nurses to population is 1:966. The technical nurses 1:1675. (Source: Office of National Economic and Social Development). per person per year which was ranked 47th in the country. In the year 2548- 2555. 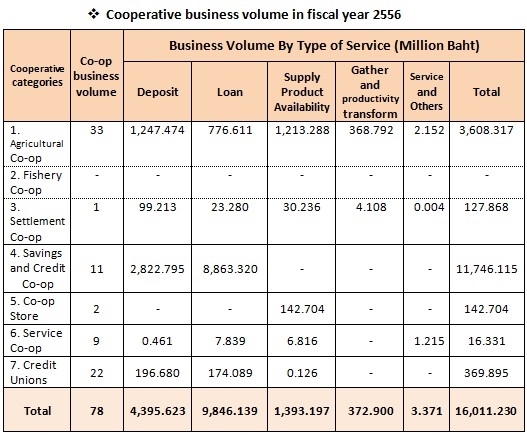 There are commercial bank currently 52 branches located in Lampang province by having the revolving money during the period since 2553 to 2556 as follows. 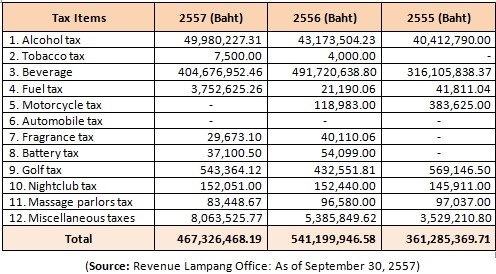 In the year 2557, Lampang province has got revenues from the excise tax totaled 467,326,468 baht, down from the year 2556 of 73,873,478 Baht, as detailed below. Chart showing the number of employees in the year 2546 - 2557. 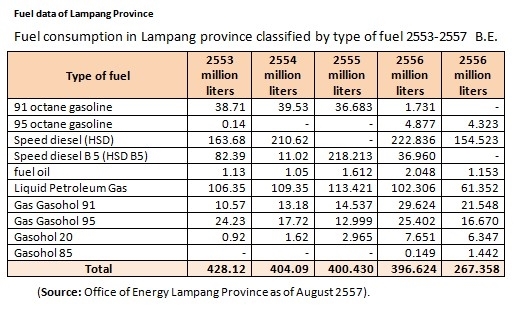 (Source: Bureau of Labor Protection and Welfare Lampang Province as of October 31, 2557). 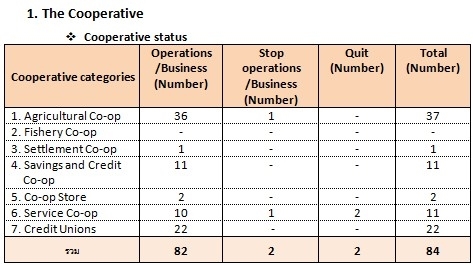 The survey results of the work situation of the province's population in July 2557 shows the structure of the labor status of the province as follows.
. (Source: Lampang Provincial Statistical Office as of October 3, 2557). 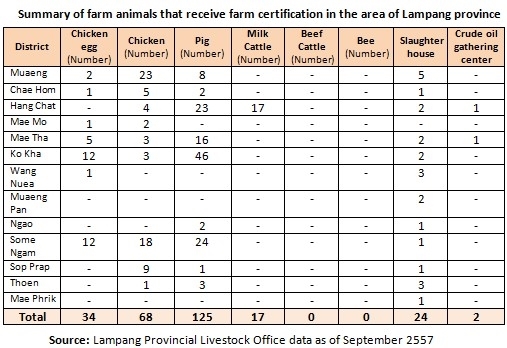 Registration and notification of operational cessation of the establishments in Lampang province at the Office of the Provincial Industry are as follows. Job seekers in Lampang prefer to work abroad in a relatively high rate. The information of Job seekers who travel abroad to work and come back to homeland and notice their situation to travel abroad or Re-entry Visa and report back to work, travel abroad themselves at the Employment Office of Lampang Province. Details are as follows. From the above information Lampang informs job seekers back to work, travel abroad in 2554 compared with the year 2553, the number decreased. Because during February - March 2554 due to the turbulence in Libya, the country needs labor migrants working in Libya, and returned to Thailand a lot. No job seekers come to inform on their own. The number of job seekers in Lampang traveling abroad fell and the year 2555, the number of job seekers Lampang traveling to work abroad has increased. The Department of Employment has undertaken a recruitment and selection process for workers to work in Israel, South Korea, and Taiwan, but in the years 2556 - 2557 the number of job seekers to work abroad fell. Since the Korean Language Proficiency Test was difficult. There are people looking for work through the province and have been selected to work decreased. Caused by modifications to the test more difficult with the disturbance in Israel. And the declaration of labor migration to the country due to unrest in Libya made for a gradual return to homeland continues. 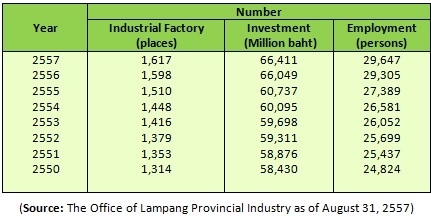 The industry in Lampang is industries that rely on local natural resources. The factors included in the other side so the trend of the industry in the province is growing. 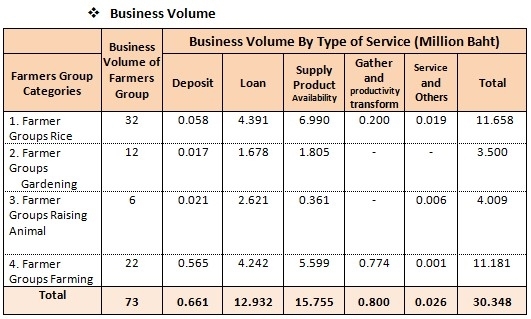 The increase in the number of industrial is compared as follows. The first factory is a factory that used less than 20 hp. The second factory is a factory that used less than 20 hp, but not more than 50 hp. The third factory is a factory that used more than 50 hp. 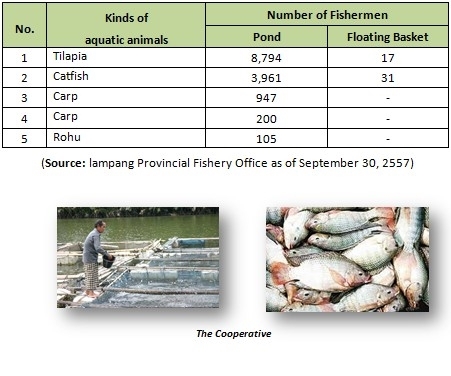 Lampang Province has an area of 1,116,673 rai of cultivated plants accounted for 14.13 percent of the province. The majority of the population is agricultural professionals. 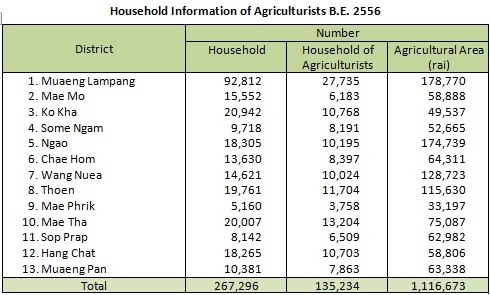 A number of agricultural occupations are 135 234 households, representing 50.60 per cent of all households. 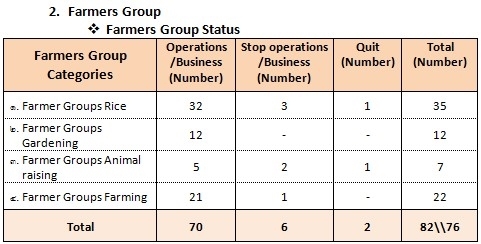 Most animals farming are small farming agriculture cover 13 districts include chicken, local chicken, cattle hybrid native. From statistics the number of cattle has declined. Farmers quit the party because of restrictions in place for cattle. Price instable conditions and poultry are fed supplement household income, noncommercial career. The animal farming is usually farming system. Spread the district that is ready. 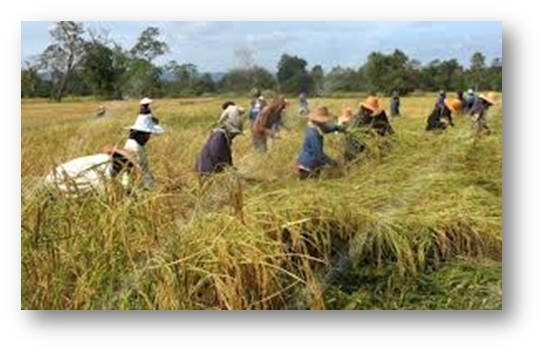 The farming is supported by the companies in CP group, Betagro and independent groups in the area of Muaeng Lampang, Ko Kha, Hang Chat, Sop Prap. It is contractors styles or contracts between farmers and company representatives such conditions farmers must be ready in the feeding place and feed as a farm system with standard certification from the Department of Livestock section which the majority are chicken fresh, pork, chicken eggs, in case of number decreased because the Company relocated its production. Currently, the Department of Livestock is promoting native animals. (Rooster with black tail) in farm pest control system operated by small farmers. Supervision by local authorities such as district livestock for Sop Prap District, Chae Hom district. 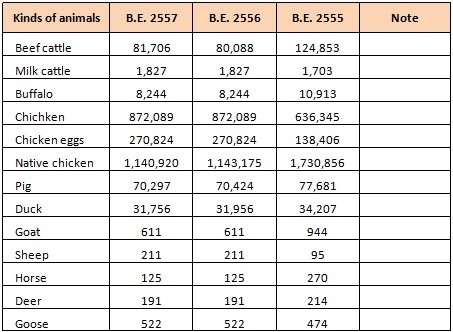 For other animals there are feeding distributed by interest groups such as wild boar, quail, goat, sheep, as detailed below.